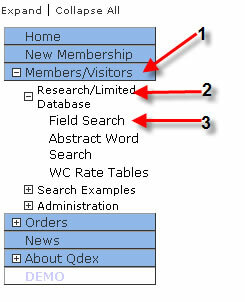 This section provides screen-shot examples of how to perform queries using the Q-DEX On-Line® (Patent Pending) system. 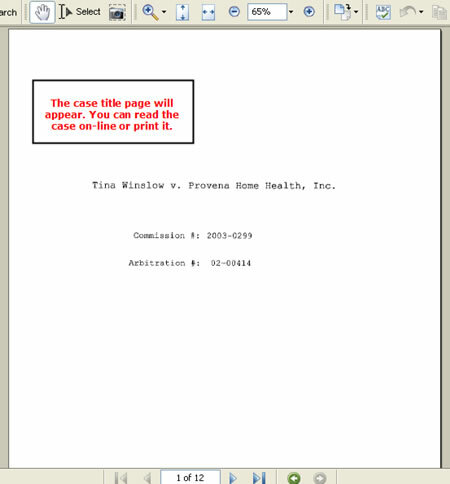 this pdf file to appear on your desktop. 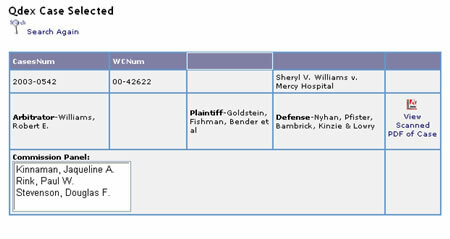 The demo site database is limited. Press the Down Arrow to expose the Chapter options. 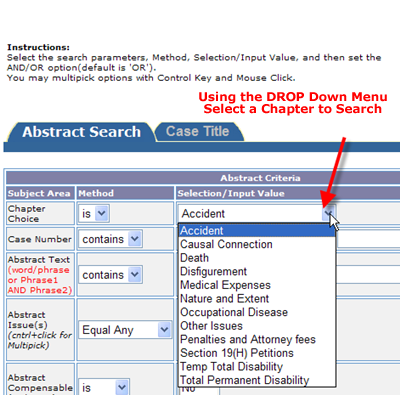 Chapter Specific drop-down menus will appear. 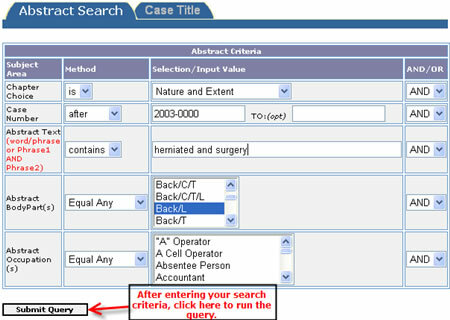 Following is a query example from Nature & Extent. 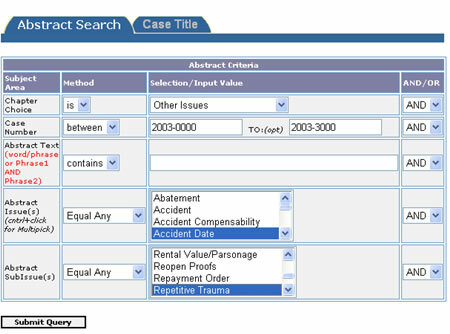 Following is a query example from "Other Issues". 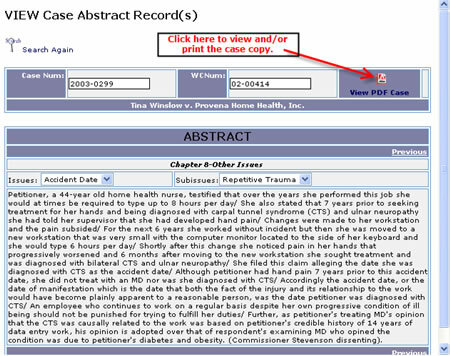 This will select all 2003 case abstracts with Accident Date as the issue and Repetitive Trauma as the sub-issue. 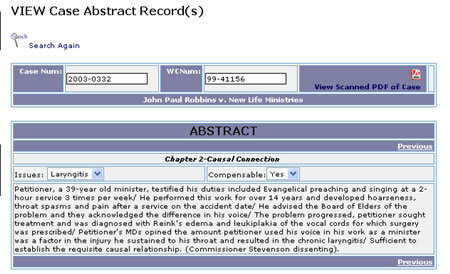 In order to see the detailed abstract text 'click' the Chapter Link. 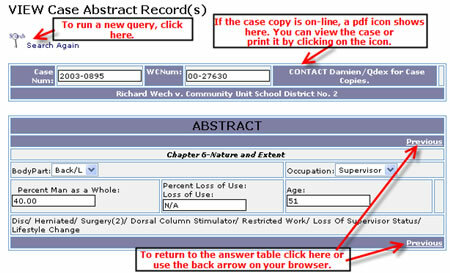 If the case copy is not yet on-line, you will see "Contact Damien". The ADOBE PDF Viewer is FREE from ADOBE. 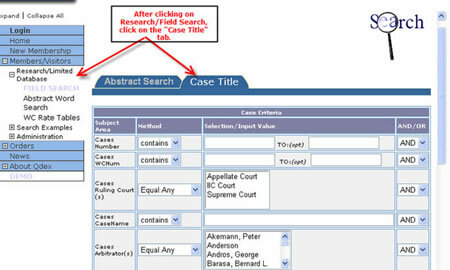 Field Case Searching allows you to view only the Case Information and ignore Abstract field attributes. 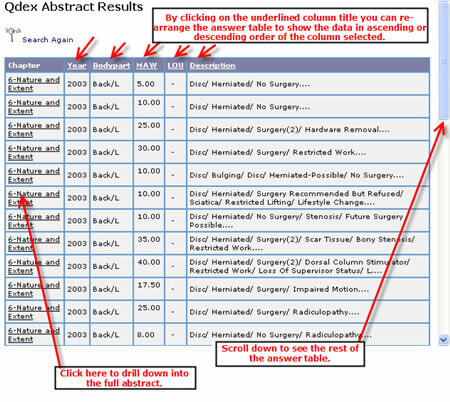 Select the Field Attribute of Interest and 'Method' for comparision. 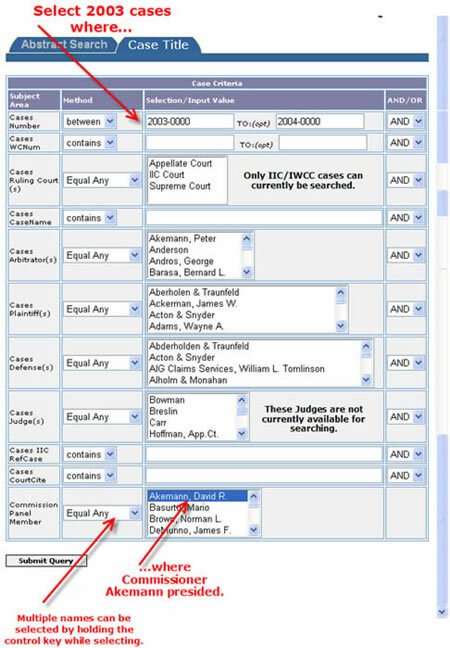 Input your selection criteria and/or a combination of Combo Box values. You may Multi-Select values by HOLD the 'Control KEY" while click your mouse button. 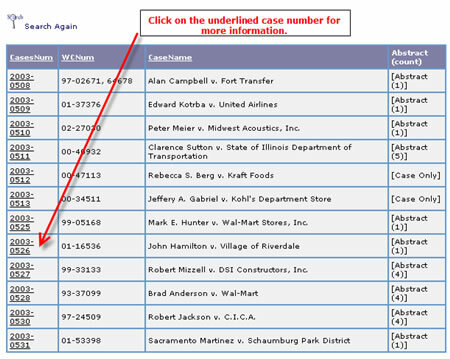 To See the Case information 'click' on the underlined link. 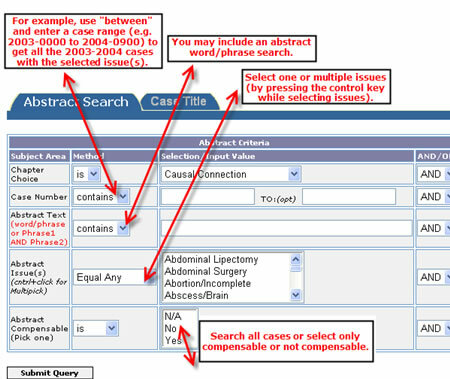 The WORD Search will allow you find information by using any word of your choice. Words and/or Phrases are exact matches. 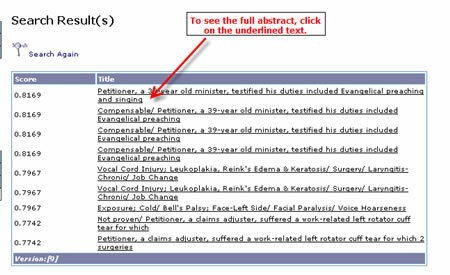 You may use standard boolean qualifiers: "OR" & "AND"
To See the Abstract information 'click' on the underlined link. 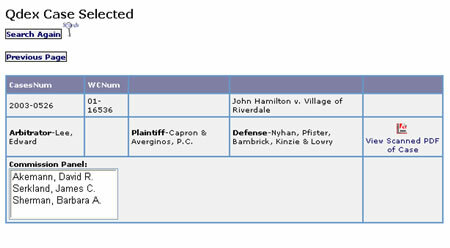 To See the associated CASE PDF Copy (if available) information 'click' on the PDF Image link. system works, we encourage you to try a few queries yourself!